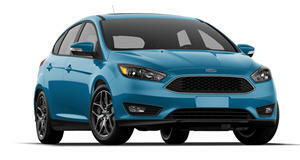 If you want to own Ford EV, you have only one choice: the Focus EV. Not a bad car by any means, but compared to the new competition, it : a driving range of only 100 miles. The Tesla Model 3, by comparison, . . So why hasn’t Ford, the automaker who’s developed plenty of green friendly technology, such as its EcoBoost engine lineup, hybrids, plug-in hybrids and an all-aluminum F-150, not built a 200 mile + EV? Good question, and that’s about to change. According to The Detroit Bureau, Ford previously figured that shorter-range vehicles would satisfy consumer demand, believing that "range anxiety" would limit the scope of its potential EV sales. Brands like Tesla have proven that wrong. GM has realized it and Ford has now, too. CEO Mark Fields confirmed that Ford will get into this segment with a new EV, but gave no timetable. We also don’t know whether Ford will modify an existing model, as is the case with the Focus EV, or develop something entirely new from scratch. We’re betting it’ll be the latter option, simply because in order to hit that magic 200 mark, the most advanced batteries will be required and, as with Tesla, those batteries will likely be located in the floor. A new platform will be required. Pricing will also need to be competitive in order to have any chance against the Model 3 and Bolt, so figure around $30,000. Fields also made clear that Ford wants to be "among the leaders or in a leadership position" in the EV market. It’ll be interesting to see what Ford comes up with.